What better way to spend your summer vacation than by exploring Europe’s spectacular Iberian Peninsula? Spain and Portugal are two of this year’s trendiest travel destinations, and with good reason! 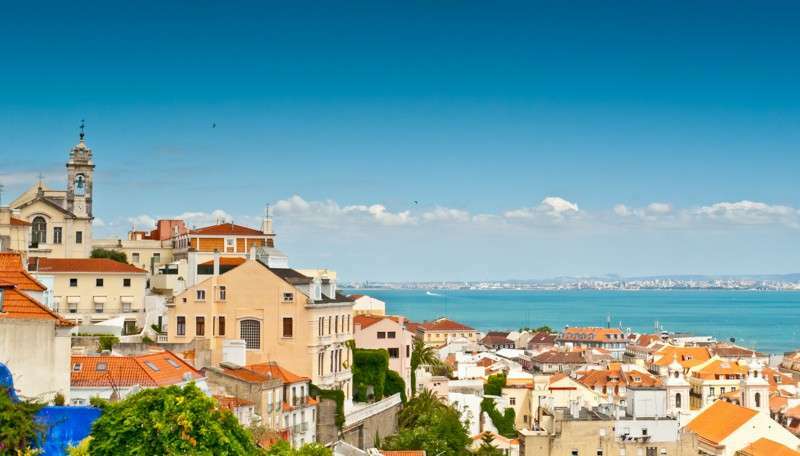 Let Portugal’s vibrant culture and eclectic architecture wow you as you stroll the hillside neighborhood of Alfama in Lisbon. If you listen carefully, you’ll even hear the sounds of traditional fado music being sung as you explore the hidden alleyways and hip boutiques. Take a day trip to the estate town of Sintra, where you’ll visit two hilltop castles with views that extend all the way to the Atlantic Ocean. Soak up the sun and sand at Lagos’ world-class beaches as we kayak through hidden grottoes, snorkel in crystal-clear waters, and watch the sunset at the End of the World! 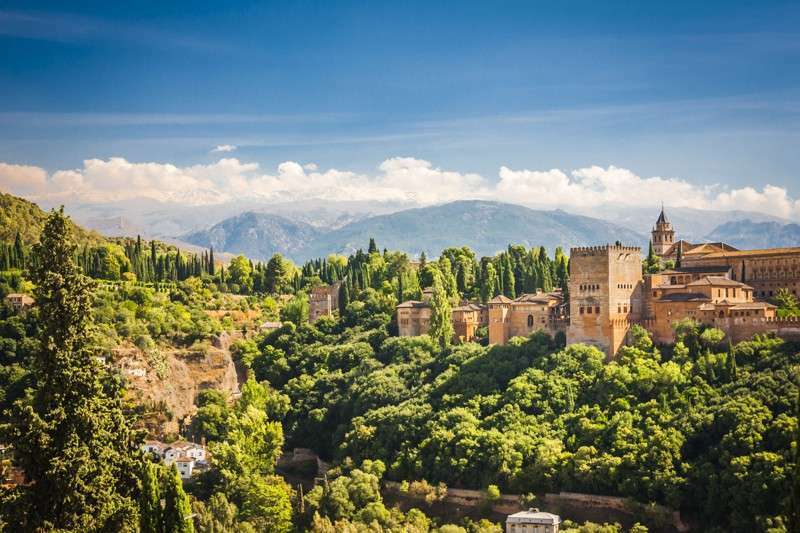 Cross over the border into Spain, where you will wander the quaint cobblestone streets of the Andalusian cities of Seville and Granada, before exploring the capital city of Madrid in all its royal glory. 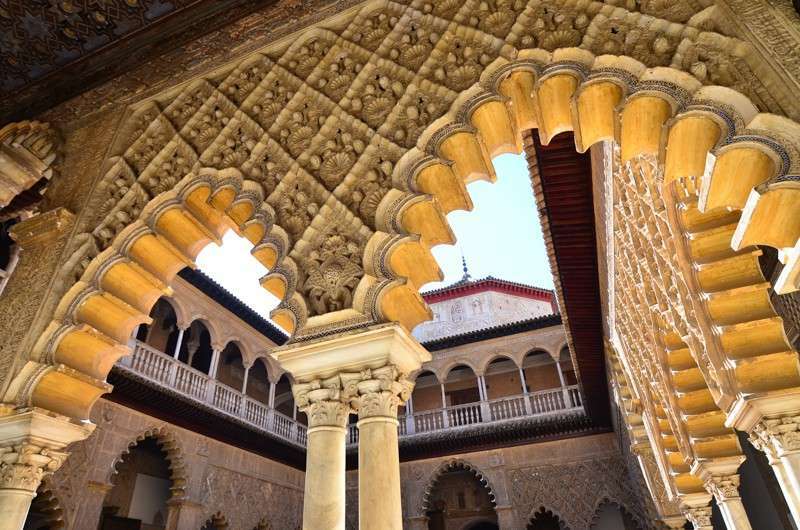 You’ll take traditional dance classes in Seville, tour the gardens of the Alhambra Palace, and even have the chance to get a massage and soak in a traditional Arab bath-house in Granada! Between ancient cities, gorgeous mountains, and marketplaces beyond your wildest dreams, you’ll see all the ways that these two countries have influenced each other over the centuries. Our Older Teens trips are specially designed for any teen who wants to gain a global perspective before leaving high school and heading out into the “real world”. Because as you grow, your interests and needs do too. We are all about a hands-on approach to travel, where we go beyond the casual tourist experience, take public transportation, and learn how daily life really is in each place we visit. We provide a unique and carefully crafted itinerary that allows for more challenges and independence. We encourage teens on these trips to learn how to use international public transport, along with other handy travel skills, so that they become confident and able to take on even more of the world in the future. Your expert TFT guides will tie together history, day-to-day life, cuisine, and the arts to create the ultimate travel and immersion experience on this special trip reserved for older teens. Come with TFT to Spain and Portugal to cross these two incredible countries off your bucket list now! Want to cross another incredible country off your bucket list? Most travelers choose to extend their trip by joining the longer Europe for Older Teens: Spain, Portugal & Morocco program. 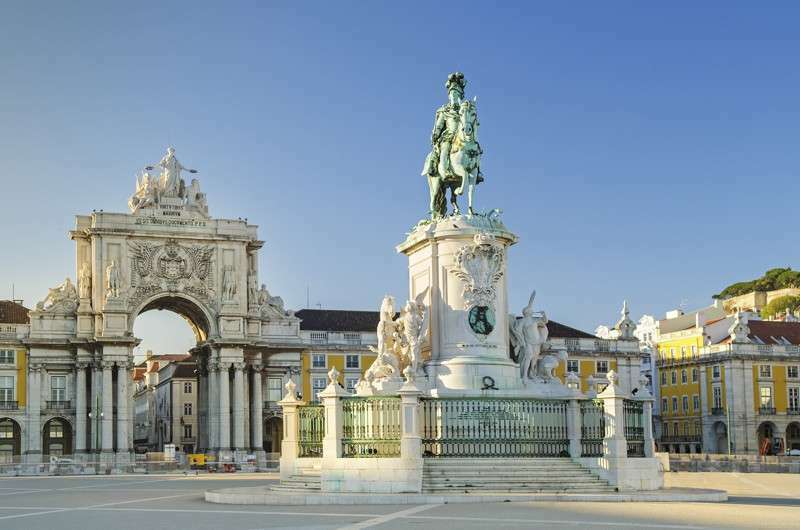 Our journey begins in Lisbon, Portugal’s vibrant capital city. Here we’ll visit the San Jorge Castle, from which you can see all of Lisbon; eat famous Portuguese pastries in the bakery that invented them (the recipe is still a secret); and explore the best shopping areas and nightlife of the city. We’ll listen to traditional Portuguese fado music as we dine on local specialties that include codfish, potatoes, and chicken. 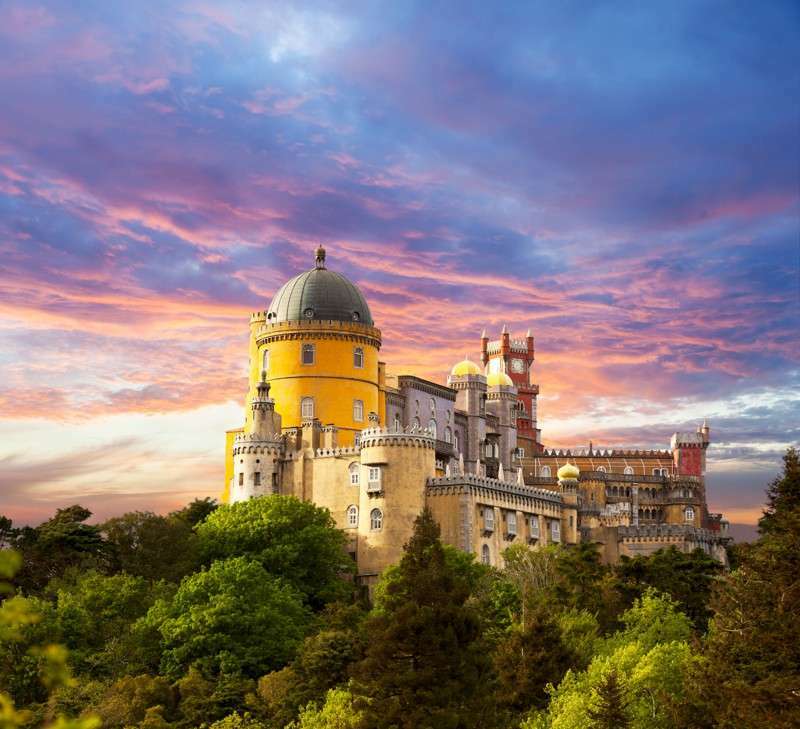 We will also visit the nearby mountain estate town of Sintra, where we will climb the Castle of the Moors and the Pena Palace for phenomenal views of the landscape and Atlantic ocean, and explore the gardens of a mansion that includes a spiral staircase leading into tunnels and lagoons. Our next stop is the fun resort town of Lagos in Portugal’s famed Algarve region. Here we’ll spend an afternoon snorkeling and soaking up the sun on the pristine beaches, as well as take a sea kayaking tour of the grottoes and caves of its stunning coastal cliffs. You can even hike up to the lighthouse! We then cross the border to southern Spain and the region of Andalusia. 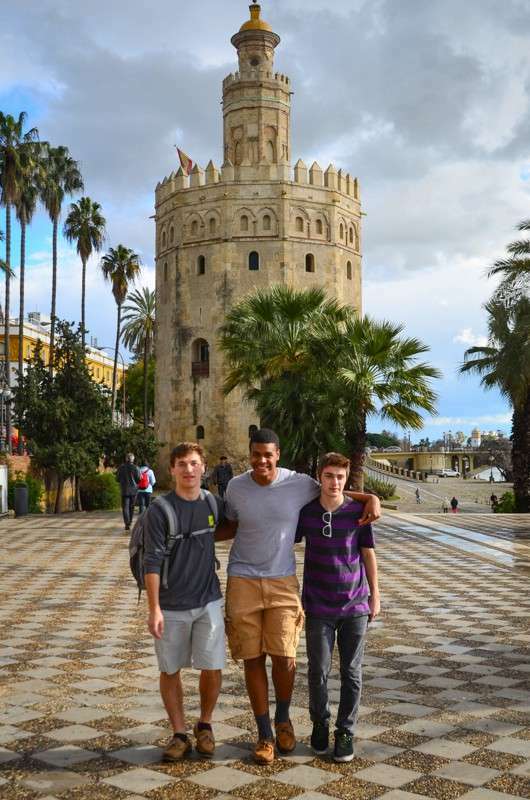 Sunny Seville, a fantastically romantic city rife with history and culture, attracts thousands of study-abroad students a year for good reason – it typifies quintessential southern Spanish life. 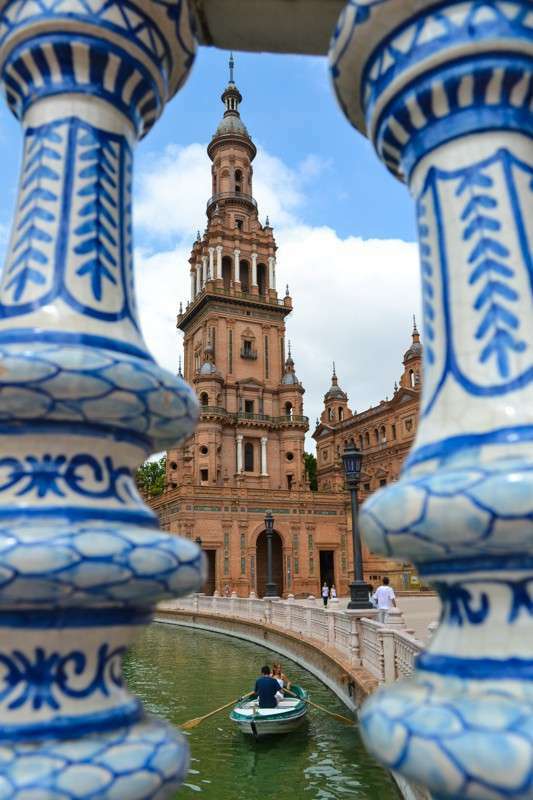 Visit Columbus’ tomb in the world’s third largest Cathedral, go for a paddleboat ride on the Guadalquivir River, and even take traditional Sevillanas dance classes! 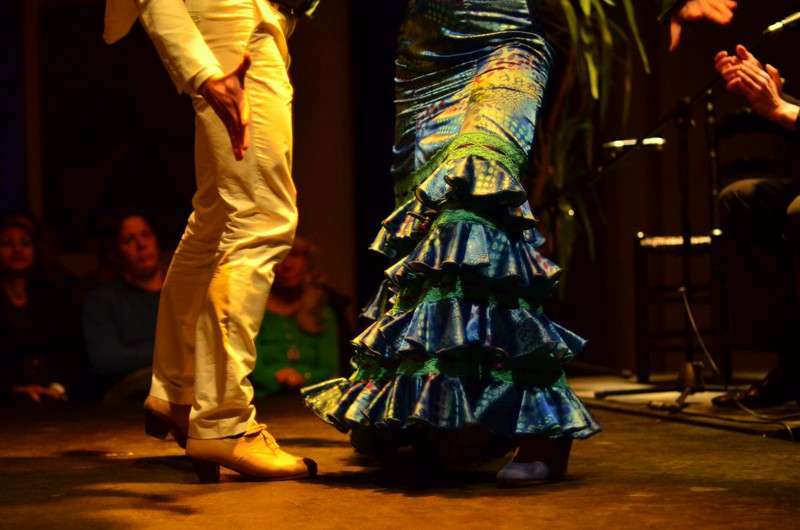 We’ll also see a spectacular flamenco show and enjoy tapas in a typical Spanish taberna. Our first stop in Granada will be to explore the majestic Alhambra palace. We will learn about the history of the Moorish people who lived here for several centuries, and how they defended the city of Granada from the “reconquering” Spanish Catholics from this point. You’ll next have the chance to explore the Arab marketplace, where you can find all sorts of treasures, like spices, weavings, ornate lanterns, and carpets. This is just a preview of what the incredible Moroccan souks will be like! 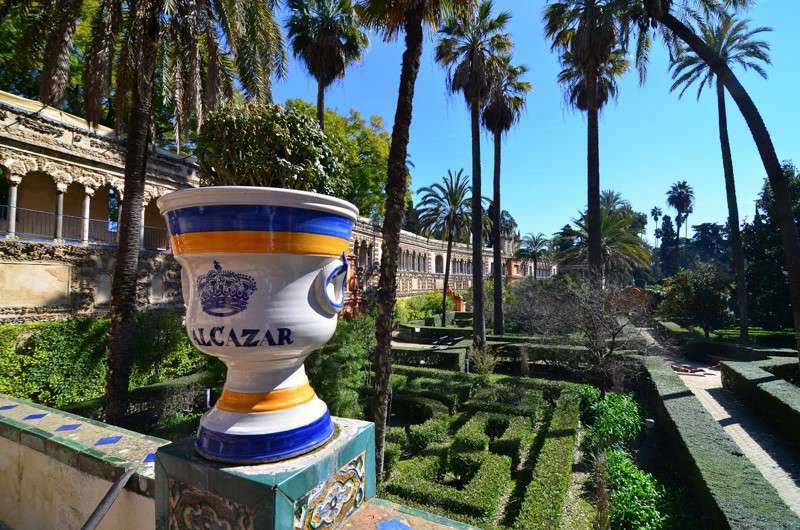 We’ll see the tomb of the Catholic Monarchs who united Spain, enjoy a wonderful tapas dinner at a bodega, and, to top it all off, you can even go for a massage and a soak in a traditional hammam, or Arab bath-house. For our final stop on this trip of a lifetime, we’ll head up to Spain’s bustling capital, where you’ll get a sense of a more metropolitan Spanish lifestyle. We’ll explore the Puerta del Sol (and do some major shopping! ), learn about the bullfights and beheadings in Plaza Mayor, and go to a churrería so good it’s even where the king enjoys his churros! 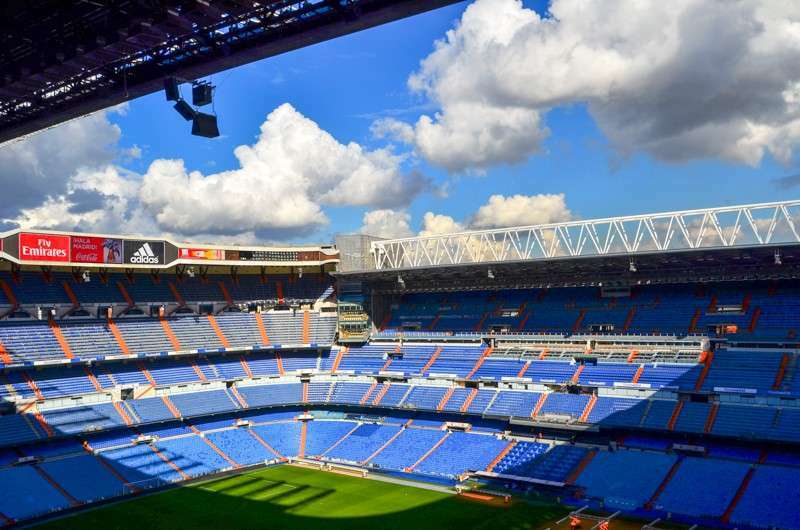 You’ll gaze in awe at the massive Santiago Bernabéu soccer stadium, home to Real Madrid, and go for a fun rowboat ride in el Parque del Retiro, Madrid’s version of Central Park. We’ll see original works by Dalí and Picasso, including his masterpiece Guernica, and feast on a wonderful paella dinner. To top it all off, we’ll go to an upscale Spanish restaurant for a fancy final dinner to reminisce on our journey. In Lisbon, we will be staying in a fantastic hostel just off one of the main shopping boulevards. Our Lagos accommodation is a beach resort, just steps from the beach and the bustling town center. In Madrid, we will be staying in a 3-star hotel right in the Puerta del Sol, the very center of Madrid (and of Spain). Metro lines 1, 2, and 3 stop here, as well as numerous buses and taxis. 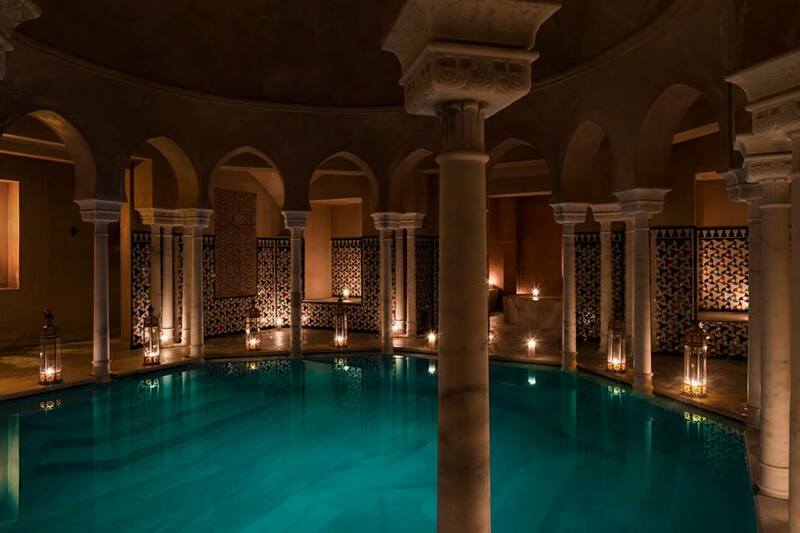 In Granada, we will be staying at a 3-star hotel right in downtown, just a few blocks from the Cathedral, Arab Baths, and main pedestrian plazas. Our Sevilla hotel is in the city’s oldest neighborhood but is a modern and spacious 4-star hotel with easy access to all of our activities. It’s just behind the Cathedral and Alcazar, and a few blocks from the Flamenco studio. It also has a rooftop pool and a breakfast buffet. Students love the incredible variety of activities on this trip, from exploring hidden lagoons in Portuguese estates, snorkeling and sea kayaking in the Algarve, learning about Moorish history in the South of Spain, and shopping in Madrid’s trendiest neighborhoods. 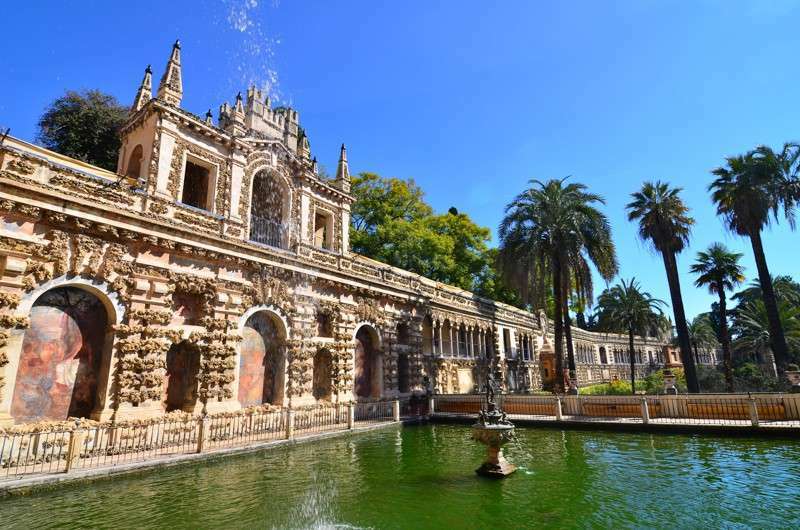 Between the mix of adventure activities and cultural exploration, the opportunity to have a soak in a traditional Arab bath house, and our local connections who give us off-the-beaten-path experiences, this program provides unique insider access to the Iberian peninsula. 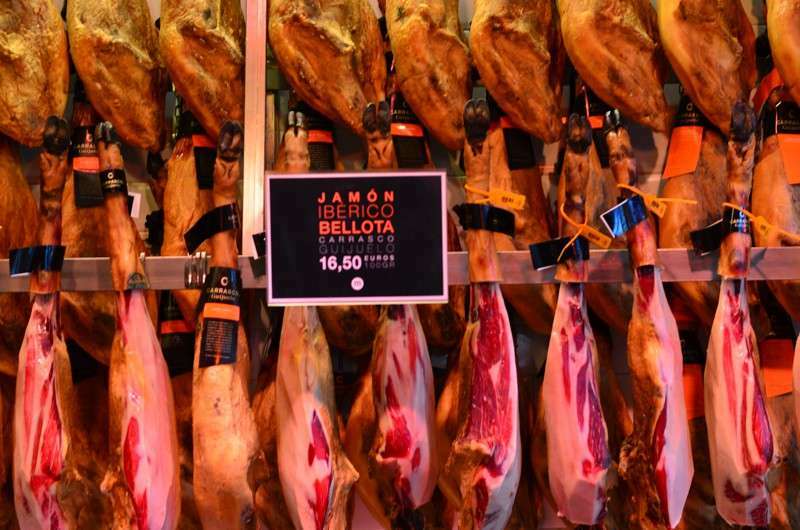 The Portuguese love their fresh fish and seafood, as well as pork and chicken; Spaniards can’t get enough ham and cheese. Many of the foods might look unfamiliar to you, so we encourage you to be adventurous, step out of your comfort zone, and try something new!